May the corners of your lashes always stay down. Look no further for the ultimate Eyelash adhesive. .. Brand New ! Pressed Glitter 12 Pan Palette ELEGANZA SPECIALColourway : Mocha Shine, Fancy, Shimmerin.. Synthetic Filament Apply base color with the flat side of this brush and use the chisel edge to.. The bent handle on this brush makes lining your eyes and waterline a snapThis beautifully bold, 100%.. 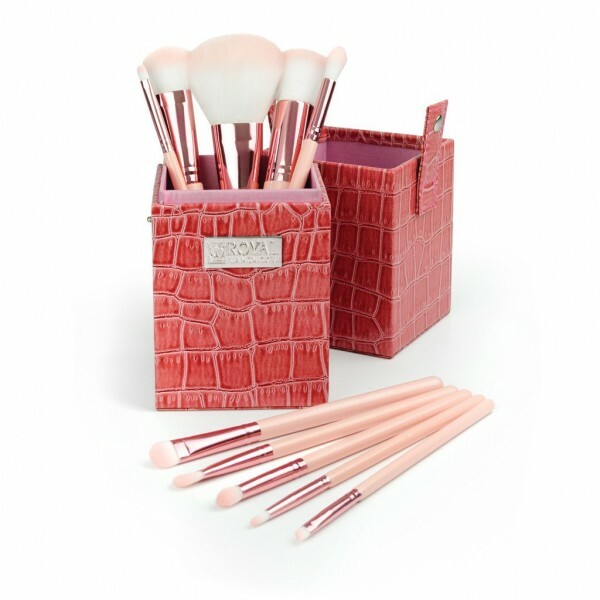 Makeup lovers can get their glow on with the Cheeky kit in tea rose, which features bronzer and complexion brushes for a perfect sun-kissed look. Synthetic FilamentMakeup lovers can get their glow on with the Cheeky kit in tea rose, which feature.. Synthetic FilamentFoxy features white and gold brushes with everything you need for perfect complexi..
Sassy comes in lovely lavender with two makeup artist favorites for a sculpted look—blush and contou.. Synthetic Filament The chic ivory and chestnut Charming kit features a stippler brush to perfec..